Vision33 brings together brands zedIT Solutions, zedSuite and the current Vision33, to provide an optimal customer experience under one single, unified brand – Vision33. Please visit www.vision33.com, www.vision33.co.uk, or www.vision33.ie which reflects the new one brand consolidation. St. John’s, Newfoundland, Canada – October 1st, 2018 – Vision33, global IT professional services consultancy announced today consolidation of the zedIT Solutions, zedSuite, and existing Vision33 brand into one new Vision33 brand. Effective today, the companies will be globally re-branded to the market as Vision33. This consolidation is part of Vision33’s “One Brand” strategy, which leverages the success of each brand to provide customers with a seamless customer experience for all technology and professional service needs. zedIT Solutions has built a firm reputation as a leading provider of eGovernment solutions for state/local governments and IT Professional Services in both the public and private sectors. zedSuite has an equally impressive history as an award-winning software solutions partner for Web portal and integration solutions for SAP. Concurrently, Vision33 holds the position as one of the largest SAP Business One Partners worldwide as part of its SAP Solutions offering. These brands have always been united in their purpose to deliver results and customer-defined value through technology. Under one single brand, Vision33 can now combine its knowledge and expertise to provide the best overall solutions to customers around the globe. The One Brand strategy will mean continued growth for all areas of business. Most importantly, the Vision33 brand consolidation will enable customers to easily access all the solutions and support they require for their current and future technology needs from one global organization. The One Brand strategy creates a synergy between the companies to bring a larger portfolio of services and world-class resources under a single global name – Vision33. Existing customers of the consolidated brands now have greater access to a global team of world-class resources that can help springboard or support their international operations. With established offices throughout the US, Canada, and Europe, the new Vision33 provides a global team of more than 400 employees worldwide. Vision33 will be able to easily provide world-class expertise as a global company, but also extend that same expertise at a local level through its more than 30 office locations. 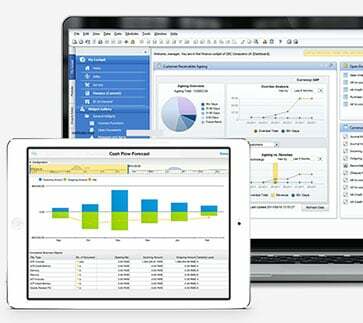 Many customers were working with multiple companies across Vision33, zedIT Solutions and zedSuite. Now they will be able to do that through one Vision33 customer experience. Converging these brands, Vision33 can serve customers across a full range of industries and geographies, helping them drive their business success through technology. All employees, products, and services will now become part of the rebranded Vision33 company. Customers of the new Vision33 can expect no lapse in service, maintenance, or changes in account relationships. There is no change of ownership structure. This is simply a rebranding of existing businesses. As part of the One Brand consolidation, Vision33 has re-launched its corporate website, which can be found at www.vision33.com and www.vision33.co.uk. This new Web site reflects all Vision33 solutions and services. All legacy websites of the unified brands will now redirect users to the new Vision33 website where visitors can learn more about Vision33’s ERP solutions, eGovernment offerings, as well as its integration and professional services offerings. 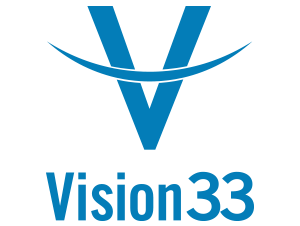 Vision33 Inc. is a global IT professional services consultancy that solves customer business challenges through the promise of technology and the value it delivers. We partner with growing and large organizations in both the public and private sectors to understand their vision and help them attain it with the right blend of strategy, consulting, and technology. Vision33 has unmatched experience in delivering solutions to support every core business function. Our work spans all major industries. Vision33 employs results-driven people to provide world-class experience through our more than 30 office locations across the US, Canada, and Europe. For more information about Vision33 and its technology solutions and services, please visit www.vision33.com.